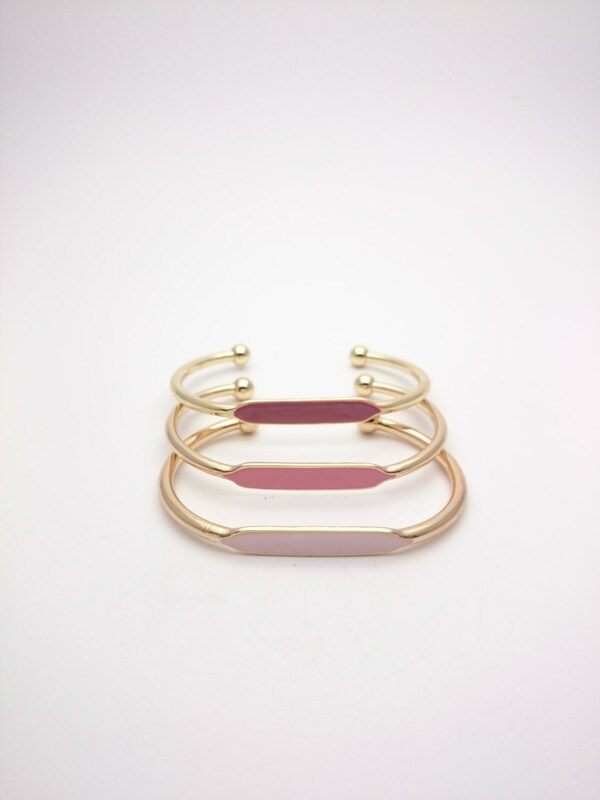 Bracelet bangle made of nickel free golden brass. 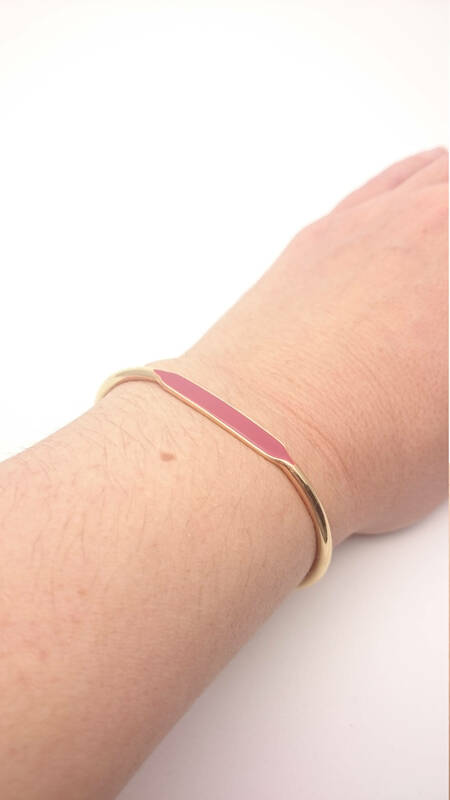 I painted the plate ID bangle cuff with pink colors and add some coating to protect the color. 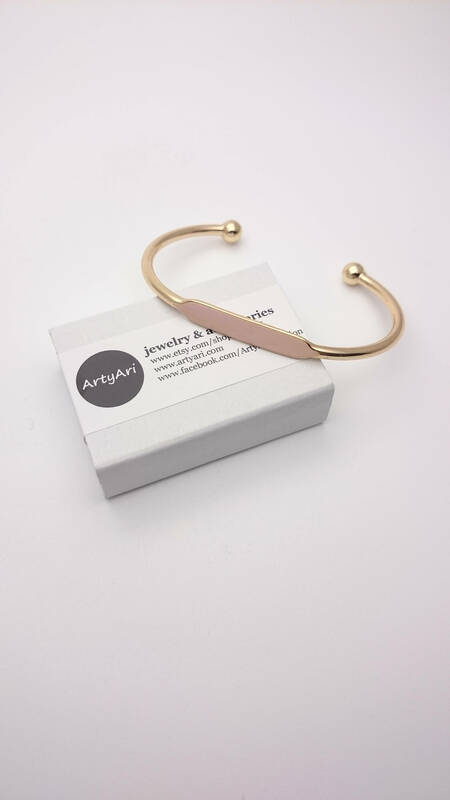 Due to the hand painted nature of this piece, it is important to be careful to not directly scratch the surface as it could lead to chipping of the sealant and paint. 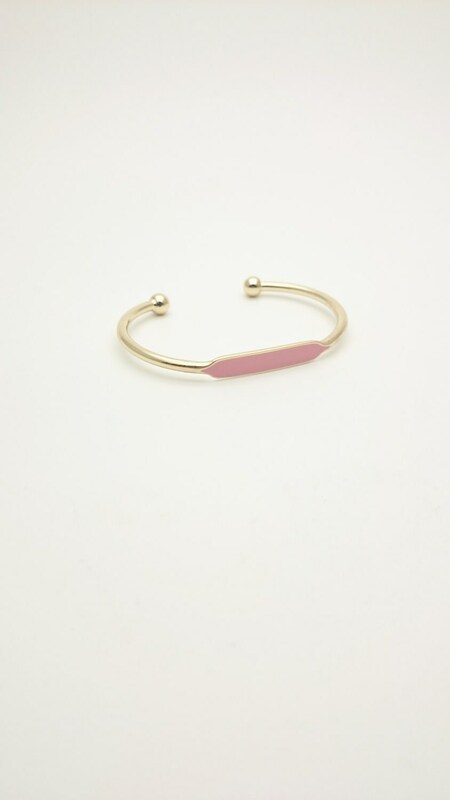 This little bangle is slightly adjustable. 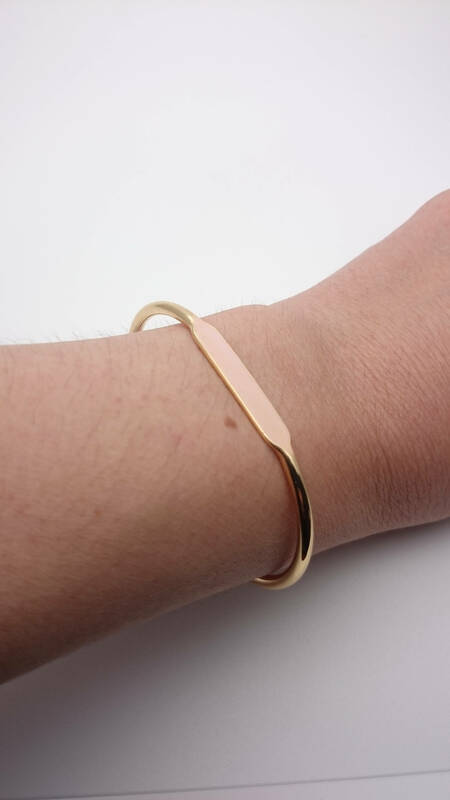 Please take the measures of your wrist before you order. 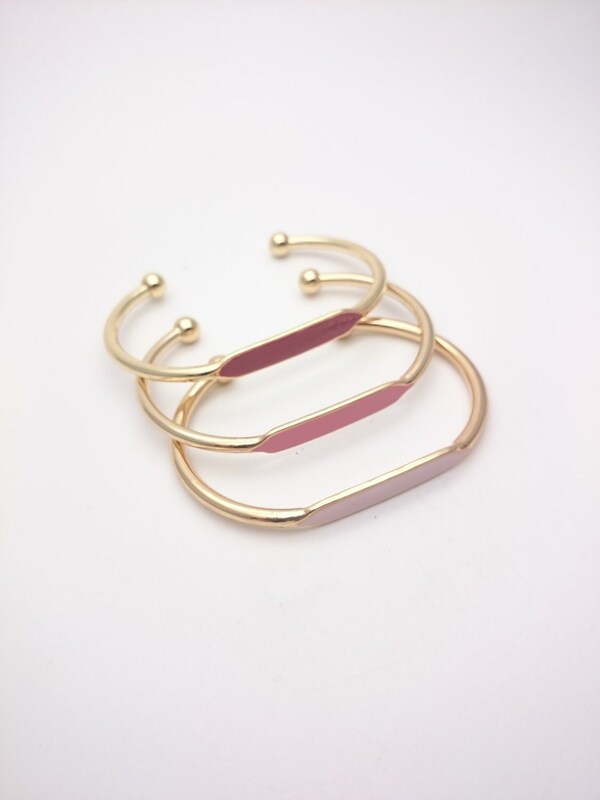 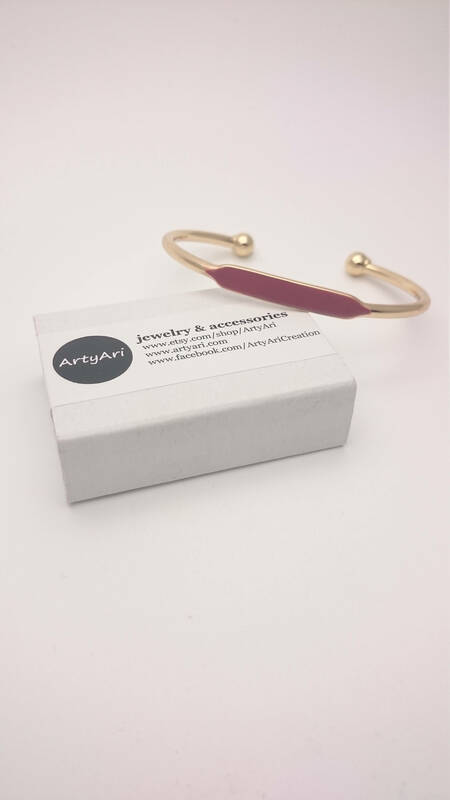 This bangle is hypoallergenic and minimalist style. 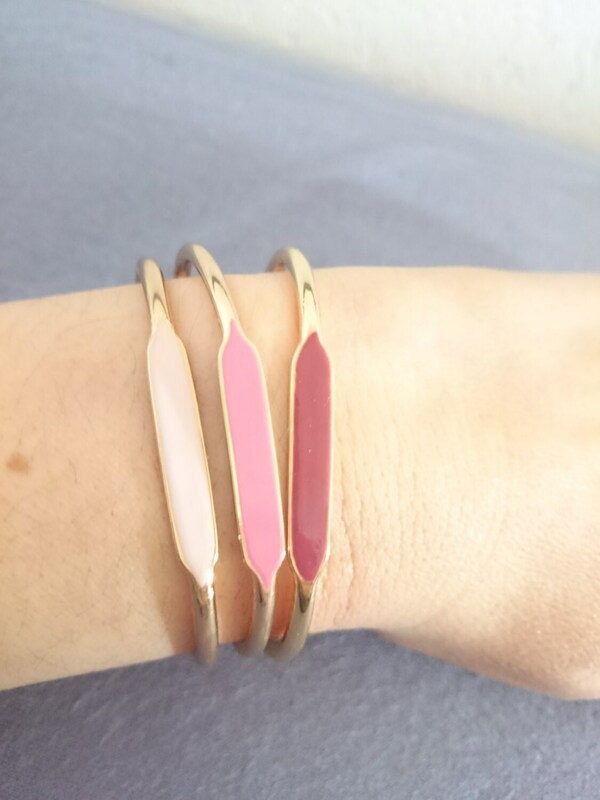 The listing is for 1 pink bangle. 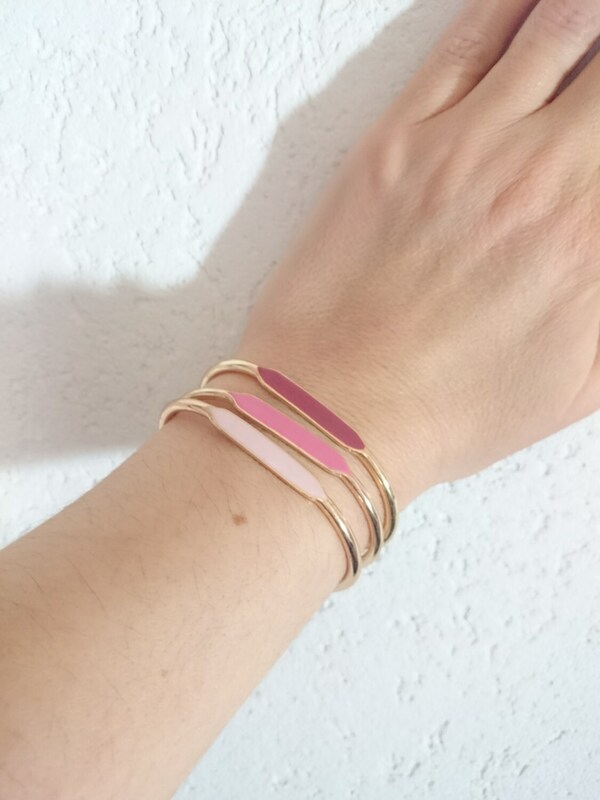 Choose your color : pastel light pink, medium pink or dark pink rosewood color.